Some people say she was the Hillary Clinton of Colombia. I view her more like Barack Obama. However, today she is the most famous hostage in Colombia and France, and perhaps the entire world. When Íngrid Betancourt was kidnapped by the FARC in 2002, she was an attractive, 40-year-old woman running for president in Colombia. There had been no proof of whether she was still living until yesterday, when videos were broadcasted by the Colombian government. The Colombian military had captured three FARC members who had videos of Betancourt, along with other hostages. I was eating dinner at a hamburger restaurant in Bogotá when the local news televised the image of a gaunt-looking Betancourt sitting chained in a FARC camp. Below are two pictures: this is Betancourt while running for president (above); this is the image I saw last night on television (below). Until her kidnapping, Betancourt had lived an extraordinary life. 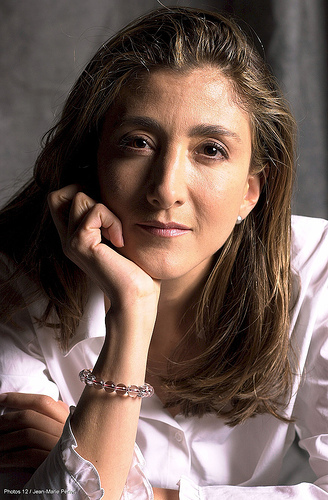 She was born in Bogotá but grew up in Paris, hence her Colombian-French citizenship. Both her parents had significant roles as Colombian politicians before her birth. She had good blood. Her mother was a former Miss Colombia. In Paris, Íngrid attended some of the best schools. Then she married a Frenchman in the diplomatic service, had two children, and spent time living in various places, such as Ecuador and New Zealand. In 1989 she returned to Colombia, where she worked in the Ministry of Finance, and soon after entered the political forum to try and stop corruption and drug-trafficking. Her mother’s influence helped Ingrid rise in the political ranks and become one Colombia’s most popular senators. During that time she had a divorce and remarried a Colombian. In 2002, Betancourt was an anomaly in a similar sense that Barack Obama is today in the United States. She was a young, good-looking woman running for president. All Colombian presidents have been men, and the vast majority have been old and ugly. She wanted to take a strong stance against corruption that had recently plagued Colombia’s presidency. In February 2002, she wanted to visit the FARC, who were based in the demilitarized zone (El Caguan DMZ) in the town of San Vincente del Caguán. Several politicians had been there for negotiations because the DMZ was considered an area off-limits for kidnapping and violence. By February 2002 all that had recently changed, and the Colombian government advised her not to go as they couldn’t guarantee her safety. She ignored the various warnings, including officers who warned her on February 23, 2002, at the final military checkpoint before arriving in San Vincente del Caguán. 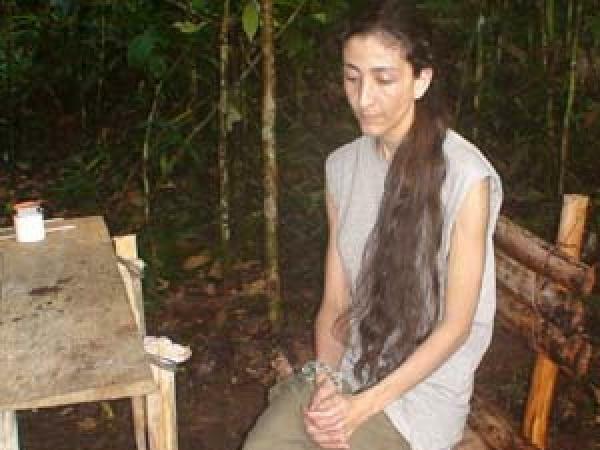 She was kidnapped by the FARC and remains as one of its estimated 60 “political hostages” today. Since Betancourt’s kidnapping, her family has disagreed with President Álvaro Uribe on the best method to free her. French President Nicolas Sarkozy has strongly advocated for her release. In August, Uribe used Venezuelan President Hugo Chávez as a mediator with the FARC. However, these negotiations had a bitter-cold ending last week. During the negotiations the left-wing Chávez wanted the left-wing FARC to be recognized as a Colombian political party and revealed potential concessions to them. Uribe became upset and said Chávez had not followed the negotiation agreements, in particular Chávez’s push for Colombia to create a demilitarized zone for negotiations, which Uribe did not want. Chávez shot back at Uribe, cutting ties with Venezuela’s long-time neighbor. Thus, the situation of Íngrid Betancourt is tragic. Chávez is a socialist whose views are widely seen as too extreme. Uribe’s views seem to be too far in the opposite direction, ignoring potentially helpful advice from Betancourt’s family and President Sarkozy, who sided with Chávez in the negotiations. This may have to do with the fact Uribe’s father was killed by the FARC in a 1983 kidnapping attempt. Jhon Frank Pinchao was a FARC hostage for nine years until he escaped in April. He said he was in the same camp as Betancourt and that she had tried to escape several times and was “severely punished.” While her plight has garnered much support in some European countries, her honesty and non-conformist stance as a politician, along with her duel-nationality has caused a somewhat negative or ambivalent response by Colombians. However, in this entire fiasco if there is a politician who needs to be punished it isn’t Íngrid Betancourt.